A wide range of hotels is available in Porto. We suggest some of those which can be more acessible to the Conference. Booking must be done directly through the official hotel contacts. 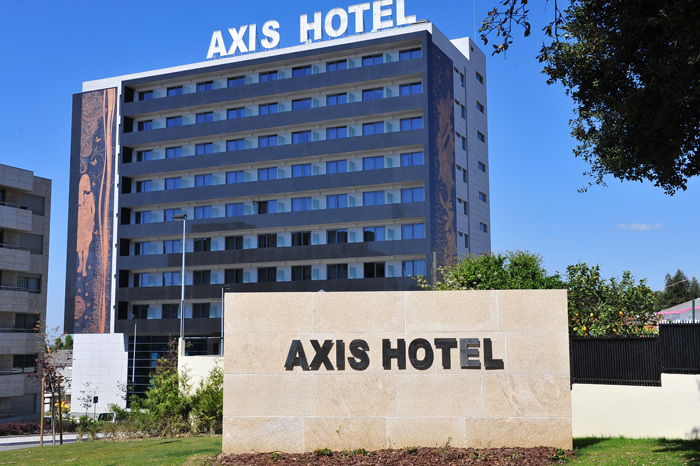 Book your room directly to reservas@axisporto.com and benefit from a special price. You must refer the Conference name on the subject. The Oporto Hotel of Axis Group is the ideal choice for those seeking for a stay of comfort, near the most important sights of the city, whether for leisure or business. Combine the rest or the work, discovering the city or relax in this stunning Hotel in Oporto, which allows you to “forget” the stress and to promote your physical well-being and your mental health. The Spa Hotel offers a sophisticated and stylish environment designed to enhance diverse experiences, in addition to three massage and treatment rooms has thermodynamic pool, sauna, Turkish Bath and sensory shower. In the restaurant you can enjoy an international cuisine with Italian influences and complemented with Room-Service. A cozy common area and a bar with a covered terrace complement the hotel’s public spaces. Portugal has 8 of the best hostels in the world according to the Hostelworld awards that is voted on by thousands of travelers. And the Most secure hostel is in Porto. The represented the city of Porto are the hostels Tattva Design Hostel, who heads the international list of the most popular hostels in the world.